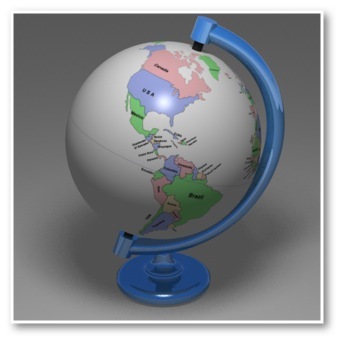 Use a two-fingered rotate gesture to 'straighten up' the globe around the z-axis (the axis going into and out of the screen). 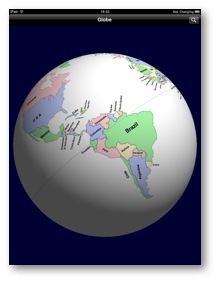 Globe at the iTunes store. 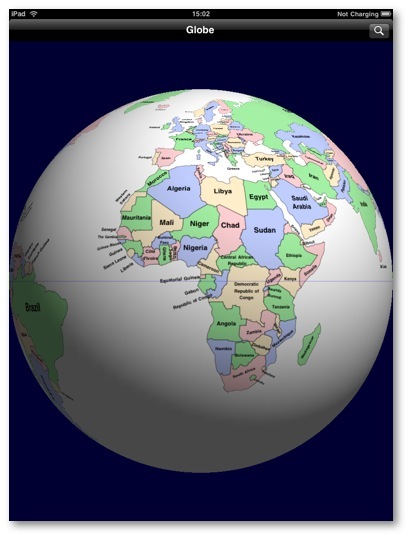 Drag your finger across the screen to rotate the globe and see the other parts of it. 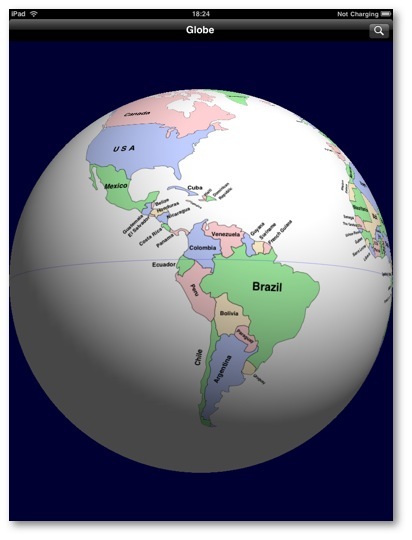 Use pinch gestures to zoom in and out. 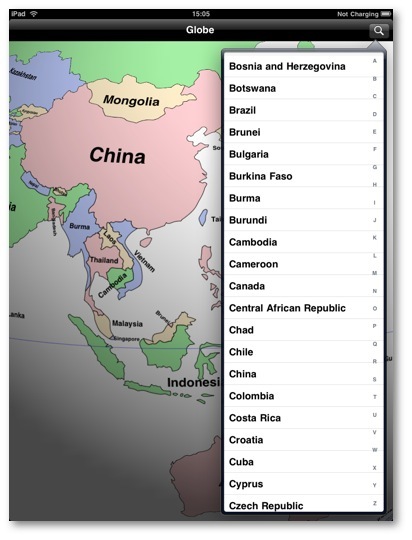 Tap on the search button to bring up a list of countries. 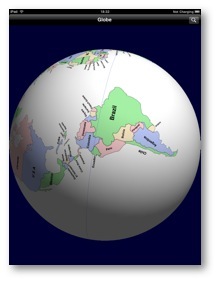 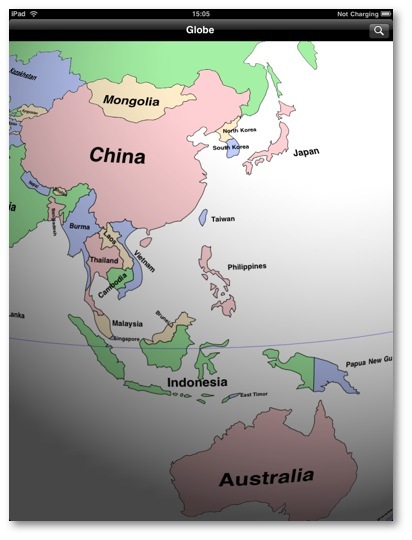 Tapping on a country name in the list makes the globe rotate and zoom so that the country is centred on the screen. 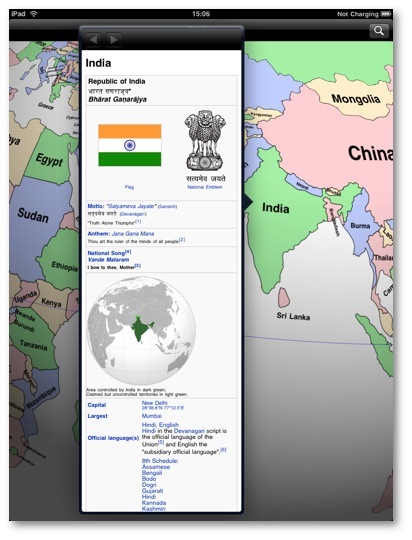 Tap on a country on the globe to display a popover view with information on the tapped country taken from the Wikipedia info box for the country (internet connection required). 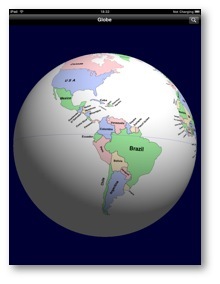 Tap outside the popover to dismiss it.